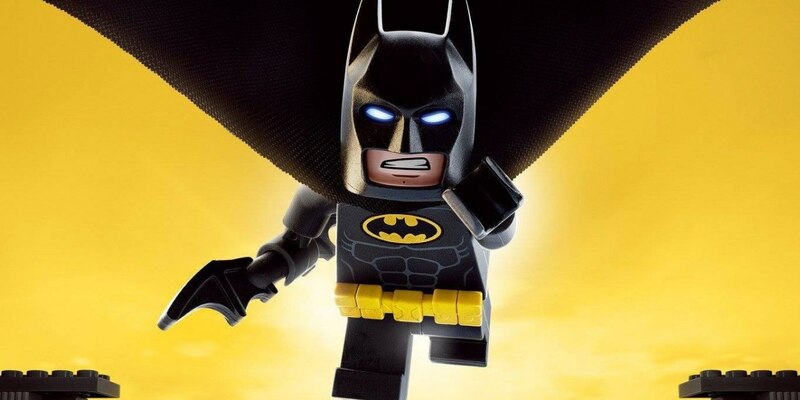 ‘THE LEGO BATMAN MOVIE’ (2017) MOVIE REVIEW – The Best Batman Movie Since The Dark Knight! Always be yourself….. Unless you can be Batman! ‘The LEGO Batman Movie’ was just a tonne of fun from beginning to end filled to the brim with plenty of humour, great voice performances, awesome block-buster animation, and an accompanying soundtrack that only ups the entertainment value of the film. It incorporates a fantastic original story that takes turns you don’t expect and was in the end a really fun and fulfilling adventure. When the Joker takes over Gotham City it is up to Batman to save the day once again, but this time he will have to learn to accept a little help. The film enlists the talents of Batman (Batman), Will Arnett (Bruce Wayne), Zach Galifianakis (Joker), Michael Cera (Robin), Rosario Dawson (Barbara Gordon), Ralph Fiennes (Alfred), and many other A-listers who all had great comedic timing and overall great performances. This was just a very fun, fast paced film, great for the entire family that gets right into the action from the opening scene. You have a good amount of light-hearted kid focused humour that is very effective, but you also have a very good amount of humour for a wider audience. The film overall had impeccable comedic timing with many subtle funny moments and a good number of laugh out loud moments. The good thing is this movie didn’t run many recurring jokes into the ground, it may use a few 2-3 times but then it ditches them for more original content. Will Arnett delivers the majority of this humour through his very sarcastic, self-loving, and sometimes even fourth-wall breaking portrayal as the Dark Knight himself. His back and forth interactions with Alfred and Robin were comedy gold. A nice little added touch is that the movie includes plenty of Batman film and comic references that are really awesome to see for anyone who has been a fan of the character throughout his long history in multiple media forms. And it isn’t just all action and humour, there is a nice little emotional element to this film touching on family and how Batman is affected by not having a family. These scenes don’t slow down the film and are very intriguing moments that pay off in the end and lead into more and more jokes delving from them. So in the end there isn’t really a whole lot i can say about this film other that it exceeded my expectations and is a fantastic movie that people of all ages can most definitely enjoy. I had the dumbest smile on my face for the longest time during this movie just because it never really stops being fun. There isn’t anything in this film that i thought was done ‘badly’, maybe a handful of nitpicks here and there but nothing detrimental to the overall cinema experience. So when the film releases this upcoming Thursday i recommend definitely checking it out because you will have a great time.